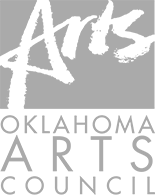 Are you looking to enhance your experience at Tulsa Ballet? Are you passionate about the Ballet’s mission and want to share the magic with future generations? Join a vibrant community of supporters and connect with our world-class dancers, productions, and artists. To show our appreciation, you’ll get a 12-month membership card that gives you exclusive access to the VIP Lounge, behind-the-scenes experiences, invitations to watch company class, preferred season ticketing, special receptions with the artists and dancers of Tulsa Ballet, and so much more! Each membership group provides a unique experience, and we are certain there is a perfect fit for you. Questions about becoming a member? Give us a call at (918) 749-6030. Young Barre is the perfect fit for ballet enthusiasts under 21. Young Barre members can attend behind-the-scenes experiences, get discounted tickets to shows, and learn more about the magic of creating a ballet. Barre Society is a vibrant group of young professionals ages 21-40 looking for exclusive social and networking opportunities with the arts community. Experience some of the best Ballet has to offer with discounted tickets, behind-the-scenes events, and more! A deeper connection to ballet begins right here. Imagine securing your seats ahead of the public, seeing a work-in-progress, and attending exclusive receptions and events with other donors and artists of Tulsa Ballet. Your Circle of Friends membership supports our programs like Hope for the Holidays, Pointe Shoe Fund, Leaps Ahead, and scholarships for hopeful ballerinas. Founders’ Society members greatly impact our community by supporting world-class artistic excellence and continuing Tulsa Ballet’s rich tradition of bringing world-class artistic excellence to the Tulsa community. Annual memberships are accepted and renewed on a rolling basis, and all members enjoy exclusive benefits at every level, including opportunities to meet guest choreographers and invitations to private dress rehearsals and social functions with the artists of Tulsa Ballet. Named in honor of Moscelyne Larkin, one of Oklahoma’s famed Native American ballerinas and the co-founder of Tulsa Ballet, The Larkin Society is comprised of individuals, corporations, and foundations who have generously given in excess of $1 million during their lifetime as a donor to our organization.